This resort is located on the beautiful white sand 7 Mile Beach in Negril, Jamaica. Its on-site Restaurant Café serves fresh seafood caught from the Caribbean the same day. Fun Holiday Beach Resort Negril Jamaica has a beachside pool and jacuzzi. Set on the Glitter Bay Beach and 2 km from Holetown City in St James, this complex features an extensive garden, in-room massage services, a swimming pool and free Wi-Fi in all areas. 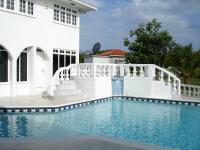 These Jamaican villas are located in Runaway Bay, 23.7 km from Dolphin Cove. 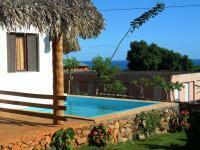 They feature a sandy private beach and a private pool overlooking the golf course and the sea. Located on the bay of Boca Chica, one of the Dominican Republic's most famous beaches, this all-inclusive resort offers recreational activities and delicious international cuisine and beverages 6 miles (9.7 km) from the airport. An oceanfront property on the island of Barbados, includes beach access and a modern outdoor pool, which follows the curve of the hotel. Modern accommodations include cool white and brown bedding and large windows offering views of the beach or. 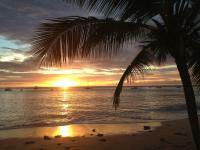 Set on the beachfront of Barbados' South Coast, this hotel offers direct access to 2 beaches. Butterfly Beach Hotel features apartments with views of the island and a large outdoor swimming pool. 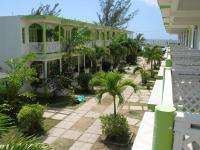 Hopeville Apartment is located 30 minutes' drive from Bridgetown. It's just a 10-minute drive from the area's beautiful Caribbean coast and offers free Wi-Fi and on-site parking. 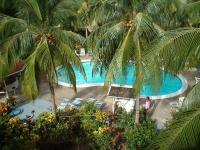 This Saint James beach hotel features a fresh-water pool, contemporary rooms with a flat-screen TV, and on-site dining. Beach front access to Paynes Bay Beach is available. Kathy's Restaurant serves cuisine created from local ingredients. Located on the beautiful beaches of Bávaro, in the province of Altragracia, Dominican Republic, this all-inclusive resort is a premier destination set in a stunning palm grove, and is the perfect place for an unforgettable holiday. Infinity on the Beach is located on an incredible strip of white sand Caribbean beach in Dover. It features a waterfront restaurant, plus a fitness centre and 2 outdoor pools. Standing next to the VIK Hotel Arena Blanca, this hotel enjoys an outstanding location overlooking the beach of Bávaro. The Hotel Cayena Beach is an exclusive part of the complex, designed with the most discerning guests, like you, in mind. Halcyon Palm is located in front of the Caribbean Sea, 2 km from Holetown City Centre and 700 metres form the Sunset Crest Shopping Mall. It features a sun terrace with swimming pool. This adults-only resort, located in the lush paradise of Higuey Bavaro in the Dominican Republic and surrounded by beautiful beaches and sparkling blue waters, offers free Wi-Fi. Catalonia Royal offers fun activities day and night. Nestled on Bavaro Beach in the Dominican Republic's Punta Cana region, this all-inclusive resort is part of a select 3-hotel resort complex. It features 2 miles of private beach. The Be Live Grand Punta Cana Resort is located on 328-yards of Atlantic Beach. The resort is 20-minutes from Punta Cana International Airport and the rooms provide a terrace or balcony. This Caribbean beachfront resort hotel offers an on-site theater, six restaurants and nine bars. All rooms feature at least one spa bath and a full bathroom with walk-in shower. 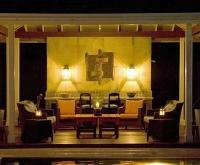 This luxurious villa features an outdoor swimming pool, beautiful tropical gardens and views of the Caribbean Sea. Coral Cliff House, located in St. Peter, also offers free Wi-Fi. Located in the colonial area of Santa Domingo, this hotel is an ideal base to visit all the historical monuments in the old town centre. Located in Higuey Bavaro, this all-inclusive beachfront resort features an outdoor pool, full-service spa and recreational activities. It offers 8 dining options, live entertainment and a variety of water sports.